Students aren’t the only ones who feel anxious this time of year. Going back to school also causes stress for parents. Here are a few tips to deal with the more common issues, so we can all have a great school year. Early mornings and reasonable bedtimes are a must for kids and parents alike. Along with those early starts come juggling classes, work schedules, extra curricular activities, drop-offs and pick-ups. Keeping new timetables aligned is a lot of work for a family! Knowing who’s going where and when is necessary to keep the crew organized. Post detailed schedules somewhere accessible so everyone can be aware of the day’s agenda. Come September, the kids need loads of new gear. New clothing and school supplies can really add up. Some parents also have tuition expenses and tutors to factor in, and don’t forget registration fees for sports and other activities. Solution: Spread out expenses and have the kids pitch in. If expenses are too hefty all at once, spread things out. Shop earlier and look for sales. Put extra money away throughout the year so it’s available when needed. 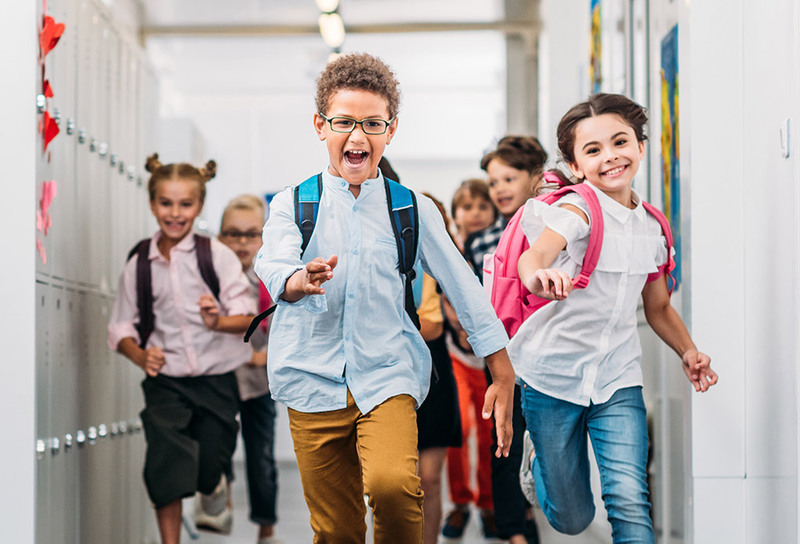 Once the kids get to a certain age, have them pitch in by earning some money through a summer job, or saving their birthday money for those cool (but expensive) shoes they want for school. We’re talking packing lunches, helping with homework, commuting in heavy traffic, and getting healthy dinners on the table. All the things you might wish you could fast forward through but can’t. These duties require time and patience, but they’re essential for daily success. Approach each day with a positive attitude. Do what you must, knowing you’re taking care of yourself and your loved ones. Most importantly, schedule some free time. With all the craziness of the week, make it a priority to slot in some time for yourself to relax. Here’s to a happy and successful school year!